It’s double the basketball, double the fun on Thursday night. Mobile data plans around Louisville will certainly take a hit as those assembled at the KFC Yum! Center for men’s basketball vs. NC State will be streaming women’s basketball at Florida State (16-2, 4-1) on their phones. At least, that’s what they ought to be doing. If they don’t, they should reflect on their poor life choices and despair. 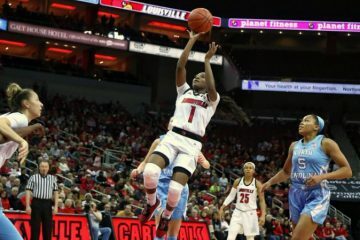 What’s not despair-inducing is the fact that the 4th-ranked Louisville women’s basketball team enters this contest against the 22nd-ranked Seminoles with a 17-1 overall and 5-1 ACC record. It’s not an easy match-up, but it’s a great opportunity for a solid road win against a top-25 RPI opponent. 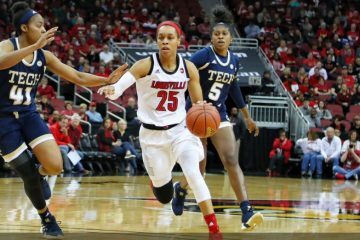 So what can the Cardinals expect from a Jazmine Jones homecoming in Tallahassee? Let’s break it down. 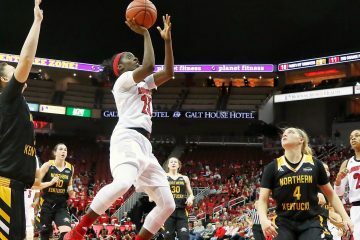 As Jeff Walz is fond of pointing out, it’s better to be the worst rebounding team in the conference with a 17-1 record than the worst rebounding team in the conference with a 1-17 record. Indeed, on the The Drive with Mark Ennis yesterday afternoon Walz said he couldn’t recall a time he’d been out-rebounded by 20+ and still won the game by 20+ which is exactly what happened against Wake Forest on Sunday. So, maybe rebounding is not the essential element for success. But, as Coach said on his radio show Tuesday, if his team can solve their rebounding issues then they have the potential to do some really special things. If all cylinders are firing at this time, then perhaps rebounding is simply the nitrous injection needed for greatness. And while Florida State’s small lineup doesn’t exactly rebound the ball well themselves, they do manage to hold opponents to an average 32.4 rebounds per game. So perhaps tonight isn’t going to be the breakout night, but that hasn’t mattered much to this point. The Seminoles have dropped a few stinkers this season with losses to LSU and Clemson at home but in contrast have a high-quality neutral-site win against currently 17th-ranked Iowa. A decent part of that success owes to their 2nd in the ACC scoring defense which is holding opponents to an average 57.2 points per game. Fittingly, they’ll tango tonight with the 2nd best scoring team in the ACC as the Cardinals come in to the contest with an average 81.5 PPG and +20.3 average margin. That’s not to say Louisville is slacking defensively, having held their most recent three opponents to less than 50 points. The ‘Noles, however, don’t turn the ball over nearly as much as Virginia, The Wreck, or Wake Forest. 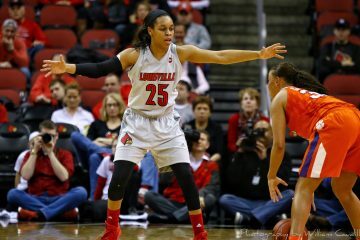 Against a good ball-handling team with a quality perimeter defense, tonight might be an opportunity for Jazmine Jones to shine at home along with Sam, Kylee, and Bionca. Hammer it in, and hammer it home. 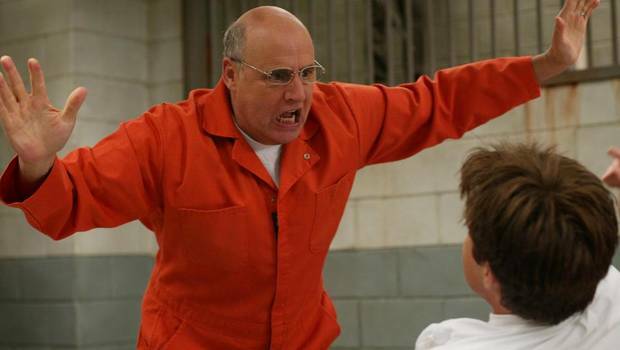 “NO TOUCHING!” ~ George Bluth Sr.
Florida State is a young and quick team, having lost all five starters in the off-season. One way they’ve managed to scrap wins from some close games is free throw shooting. The ‘Noles have taken an average of 20 shots from the charity stripe in their five ACC games to date. 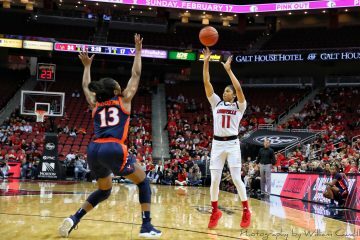 Louisville’s sent its ACC opponents to the line for an average of 18 free throws a game while only managing to get there 14 times on average themselves. Florida State’s small lineup could prove to be a puzzle for Louisville’s size in the middle, and the Cardinals must avoid early foul trouble at all costs. Call out screens and switches, get set, and perhaps the Cardinals can exorcise the Florida State demon. The Seminoles are looking to notch their 16th win over an AP Top 10 opponent, and two of their current 15 have been against the Cardinals over the past two years. It seems no Louisville fan has forgotten last year’s collapse at the Yum! Center. Perhaps tonight revenge will be a dish best served Jones. Arica Carter continues to impress from deep, shooting 48.7% from three-point range against ACC opponents. She hit her first three straight from range against Wake Forest on Sunday. Mykasa Robinson’s playing time for Louisville has averaged 18 min. per game over the past four games. She’ll likely sub in to face Florida State’s two starting freshman Brown and Myers. Dana Evans is now a conference 10th best in assists with 3.8 per game and has an ACC 3rd best 2.2 assist/turnover ratio.